Fortunately, for us, Australia has a visa which grants exactly that, another year on the same terms as the first working holiday visa (subclass 417). As I could find no help online exept a few unofficial websites that offered the visa (while wanting money for their help), I decided to write this article. The requirements are very specific for this visa. For some reason Australia doesn’t want to keep people who just lounge around in the metropolitan areas and prefers the people willing to work on the land. You have to acquire at least 88 days of regional work during the first year. Regional, in this case, is determined by the postcode where the work takes place, not were you are staying/sleeping. I have heard reports from two backpackers that you only have to work for ONE employer for 66 days to get the visa, BUT I have had no confirmation from the govenment on this yet, but will look in to it. A list of all the postcodes can be found with the Form 1263 (p. 3) of the Department of Immigration, which can be found “here”*. I’ll be getting in to more detail of that later. Also, you have to complete specific work which is also documented in Form 1263 (p. 2). For most backpackers this entails fruit picking, but there are a lot of other types of work which can make you eligible for a second year. Personally I worked for a beef farm on King Island and a dairy farm in Western Victoria, both being regional spots. I can not stess enough that you should be honest with your application. The Australian govenment has started checking more applications due to there being a rather high amount of fraud. From what I have heard one in four applications is checked as far as possible and if you are found not being truthfull, you can, in the worst case, be banned from visiting Australia again. I myself got a “request for more information” from the government, asking me for a copy of my passport. And don’t forget the visa costs. When I applied at the end of 2015 the visa cost me 450AUD, which is a hefty sum for a money saving backpacker. What do you gain? Another wonderful year Down Under. Lets be honest, one year is not enough to see all of Australia. Heck, probably a lifetime is not enough to manage that. But you get to see more. 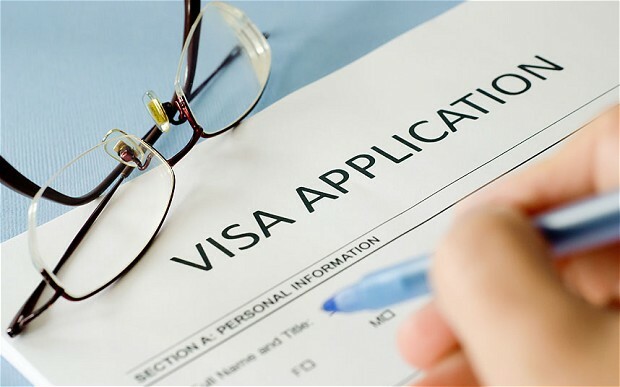 The conditions of the visa are the same as for the first working holiday visa, most prominently meaning that you can only work for one employer for a maximum of six months. You can work for the same company as the first year, meaning that in total it is possible to work for one employer for one year (6 months first visa, 6 months second visa). And if you are wondering about staying a –third- year, things become slightly more difficult. No matter how much fruit you pick you won’t be granted a third working holiday visa. To get that you have to be sponsored, which I am not yet looking in to. So you have acquired all your work days and want to get it done and over with to enjoy another year. Form 1263 has been filled out by your bosses and the money for the visa is in the bank? First of all you will have to get in to your immi acount at “https://online.immi.gov.au/lusc/login”. Yes, that account you opened applying for you first visa a year ago. Remember the password? After that you’ll have to chose. Are you applying for your second working holiday visa from inside Australia (within their borders) or are you doing it from outside Australia. For this case I’ll be doing it from inside Australia. Then you go through the step by step process, similar to filling out the first working visa. When you get to “Your personal Details” they will ask “If you have an Australian visa grant number, please enter the visa grant number“. This can be found in the e-mail they sent you, congratulating you on your first working holiday visa. Wait for the Department of Immigration and Border Control to grant you the visa. I applied for mine mid-December and received it two months later. That could also be because Australia pretty much shutes down in January due to holidays, but they say it should take somewhere between two and four weeks if you supply all needed information. Once all of that work has been done you are free to enjoy another year in Australia, which will still not be enough to see it all. You can still try, Happy Backpacking. At the time of writing this Max had been in Australia for almost eleven months. He started on the East Coast and got as far as Brunette Downs, 800km north of Alice Springs. His diary of his adventures in this time can be read on his blog. Next Next post: Navigation. And what do I do with my new found knowledge?